What about having a dinner on an island and arriving there with your kayak? You don’t need to go far, we are in the middle of Stockholm, 10 minutes walk from the tube station Hornstull. You wonder where to eat tonight, you would like something original but don’t really know where to go! 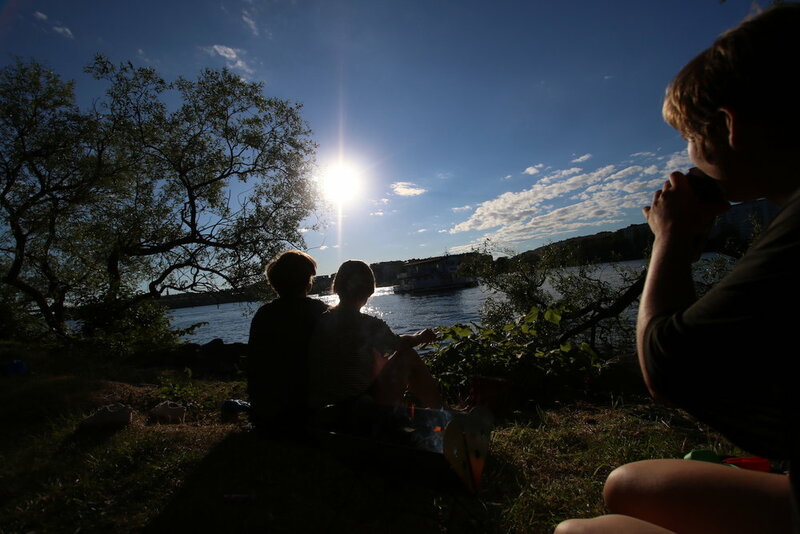 Well, enroll in the adventure that will make you see Stockholm from the water and enjoy a nice barbecue on the way. What an original way to start your evening. 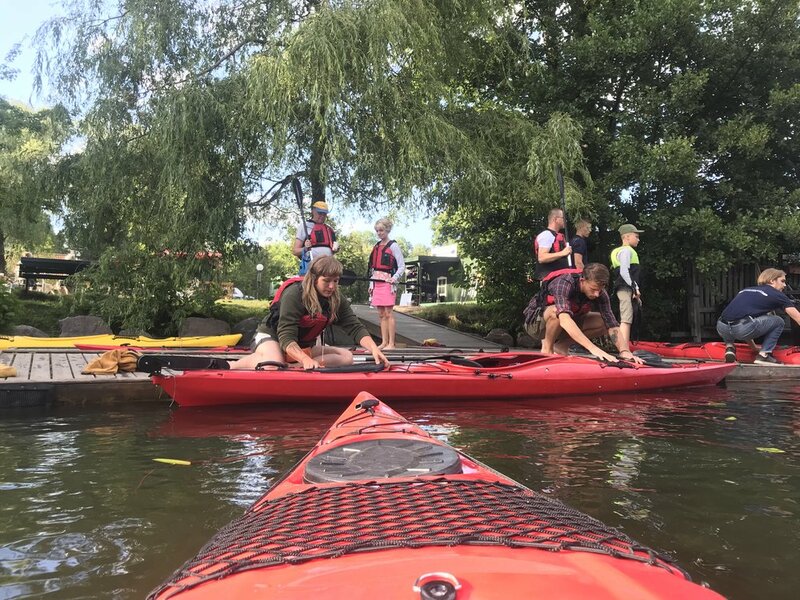 We will start from Stockholm Langholmen Island at 18.00 and paddle one hours before having a dinner break on a very nice place. Enjoy the sunset or have a swim in the water while your guide is grilling the sausages. We’ll then get back to paddling and make our way back to the starting point. On the way you will see Stockholm and notice the special colors that the old buildings take when the sun is setting this very special Scandinavian light on them. The colors reflect also on the water and makes the experience very unique. You are in a city center but it feels like being in the countryside. Indeed Stockholm has the reputation of being a very green city and yes it is true. Trees all along the cost, migratory birds hanging around or even fisherman trying to catch big are all present all summer. Suitable for family, group of friends, couple or solo travelers. Everyone would find his happiness in kayaking like the many other travellers before you.